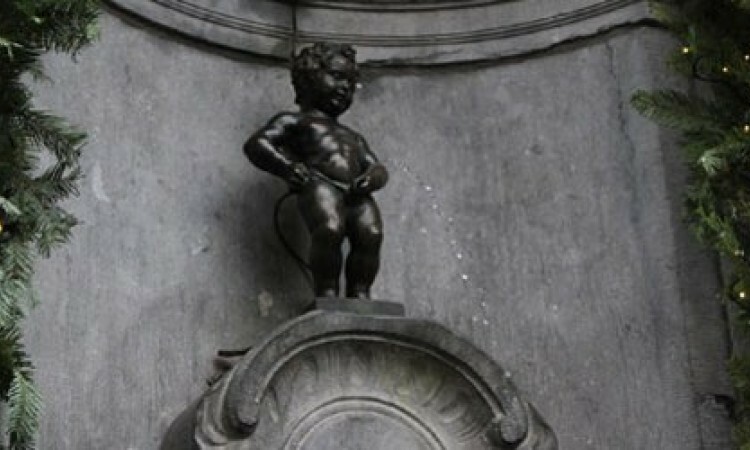 After a lot of research, we were able to come up with some legends, which may be the basis of Manneken-Pis' story. Oh, FYI, his name means little peeing man in Dutch. Quite Harry Potter-ish is the first legend. It tells the story of an old witch who lived in Rue de l'Etuve and who convicted a little boy of a sad punishment. He had relieved himself on her front door, so she decided to transform him into a stone statue. Fortunately, a good old man appeared with a statue similar to the little boy. When the witch was ready to put a curse on the little boy, the old man swapped the boy for the statue. The fourth one is mischievous and goes back to the Crusades. The count from Hove lived in Brussels with his wife and son Godefroid. The count steadily hosted his glorious combatants. Once, he asked his 5 year old son, a resourceful kid, to walk in front of the troops for welcoming the combatants. But the resourceful child spent his time watering the procession. Then a statue was erected by the count and countess to make up for the insult inflected upon the combatants. The fifth tells the story of a Bourgeois child who lost himself in the crowd. His father searched frantically for him in the Brussels streets... After five days, he saw his son relieving himself at the corner of rue de l'Etuve and rue du Chêne streets. The Bourgeois was so happy and decided to erect a statue to immortalize the moment.